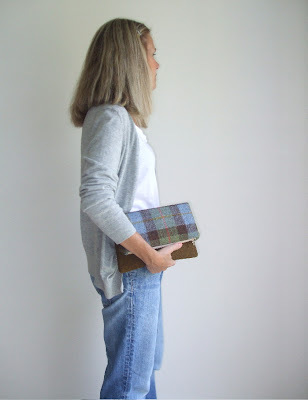 Introducing the Harris Tweed Foldover Clutch, now available in the shop! 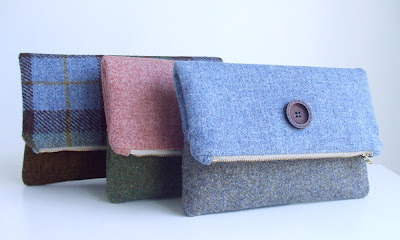 Made from exclusive Harris Tweed wool which was imported from the Isle of Harris, Scotland. Harris Tweed is a luxury cloth hand-woven by the islanders in their homes on the Outer Hebrides of Scotland, using local wool. 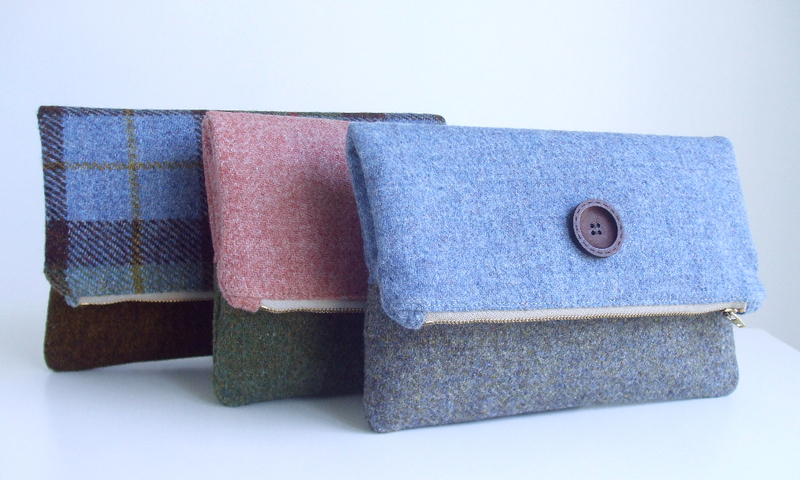 Each of these clutches has an authentic Harris Tweed label sewn onto the back. I'll have more of these purses available as autumn approaches. Straightforward simple elegant and practical!